This beautiful report takes an in-depth look at your emotional foundations—through your birth moon and current lunar cycles. You won’t find anything like this anywhere else. Popular with readers of The Mountain Astrologer for over a decade, this report was designed to please astrology beginners and advanced students alike. I’ve received so many thank you letters for this report, I’m confident you’ll love it too. 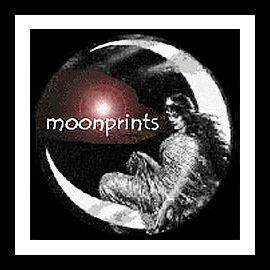 Moonprints will lead you on a journey. You’ll look deeply into your birth Moon—its phase, sign, aspects, and house. You’ll discover your soul’s purpose through the Moon’s Nodes. You’ll learn about your current challenges and changes through your progressed Moon’s sign and house, two progressed lunation cycles, a year of new and full moons around your chart, transits to the Moon, and more. the person’s name, date and time of birth, place of birth, and the town where they live now.